The California Office of Administrative Law (OAL) approved final marijuana industry rules that regulators had published in December, paving the way for the state to implement a permanent regulatory framework for the nation’s largest cannabis market. The regulations, approved late Wednesday, take effect immediately, according to news releases from the Bureau of Cannabis Control (BCC), the Department of Food and Agriculture and the Department of Public Health, which wrote the rules. The regulations can be viewed here. One of the most contentious policies – which could lead to a legal battle between state regulators and municipalities that have prohibited commercial cannabis operations – is from the BCC, which allows marijuana deliveries to be made in any jurisdiction in California, regardless of local MJ business bans. “The public spoke loud and clear in favor of statewide delivery,” BCC spokesman Alex Traverso said in a statement to the Associated Press. Traverso also confirmed to Marijuana Business Daily that the OAL made no major substantive changes to the rules that regulators submitted to the agency last month. Regulators had spent months drafting and revising the rules. The OAL’s approval was needed before the regulations could take effect. 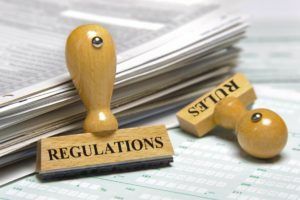 Several industry experts said last month that the rules as written in December were a mixed bag for companies. But they largely hailed the regulations as improvements over previous drafts. There likely will be further regulatory changes to rules governing California’s marijuana industry, as bills are beginning to pile up at the state capitol in Sacramento on various cannabis business policies. Also, the state’s new governor, Gavin Newsom, could propose major changes depending on how he approaches regulating the marijuana trade. I deliver for a licensed dispensary for 3 months now and feel have that we are losing to ground to the unlicensed deliveries. Will the State ever make a statement about Weedmaps? We are still waiting to get some feedback on the cease and desist order filed last year. When does the small business get a chance? How about social equity programs? It certainly seems that in the rush to grab as much money as possible, CA made corporate windfalls first priority, but bit the hand that feeds state coffers by wiping out small ventures, the compliance for which should have been little more than lab testing. It was a relatively small tax increase that ignited the American Revolution. Cali’s taxes do not provide representation to small growers. They could have been accommodated at many levels to keep small farming businesses alive, so the underground will thrive as it has over the past many decades. Why the heck did CA make all the noise about no white labeling and then not come up with a license for multi state brands that work with distributors and processors to manufacture and sell product. I agree with all of you, California’s BCC has mucked up the rules and regs to the point that most of us have or will fail. They have violated our voter approved prop 64 by implementing a scheme so onerous and difficult that most of the northern California vendors have gone to the consumer side (black market) of the industry. This assault on the industry in it’s attempt to eliminate the long time operating vendors and retailers in favor of the BCC’s new corporate pay to play program should be challenged in court. While I still hold a license, we are preparing to exit to the consumer side of the industry, like so many have. In fact the BCC regs have been the best promotional aid to the illicit cannabis market I have ever seen. More and more folks are not happy with our new State Cartel system. For them buying cannabis is completely legal now. The basic law of free enterprise, is that the consumer WILL determine the marketplace, Neither a war on the commodity or regulations will change this. That is exactly why prop 64 has in state code 26014 made several things, not only clear but Statutory. 26014 :(a) pursuant to this division, including best practices and guidelines that protect public health and safety while ensuring a regulated environment for commercial cannabis activity that does not impose such barriers so as to perpetuate, rather than reduce and eliminate, the illicit market for cannabis. Then State code 26013: nor shall the regulations make compliance so onerous that the operation under a cannabis license is not worthy of being carried out in practice by a reasonably prudent businessperson. Replace the entire BCC, except the union reps. If something doesn’t change soon I think it’s time for a class action lawsuit.